Featuring bright colors, cheerful imagery, and helpful information for parents. Sporting sophisticated art elements, along with handy details for students to check. Shop modern designs that both parents and teens will love. Choose your colors! Get free magnets with designs featuring your sponsor’s photo, logo, and custom imprints. 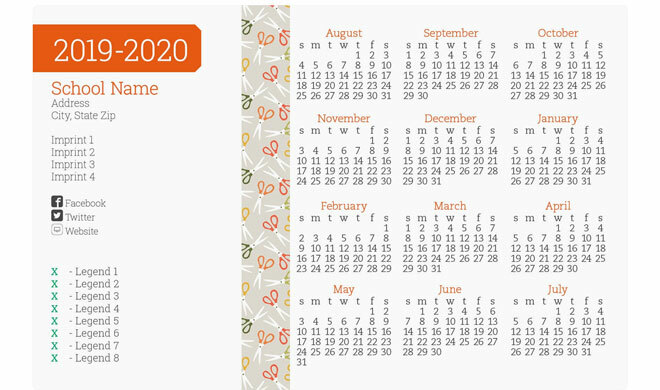 Create one convenient magnetic calendar to distribute to your whole district. 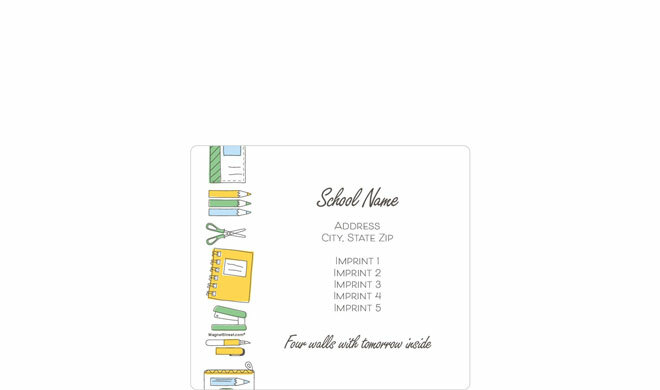 Use magnetic cards to make your contact info easy to find, display, and keep around. entering your legend a breeze. as a tool to place your order online! 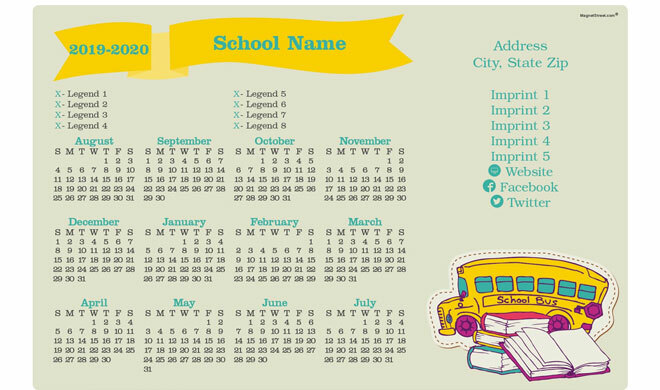 MagnetStreet Schools designs and prints magnetic products for K-12 schools all across the United States and Canada. 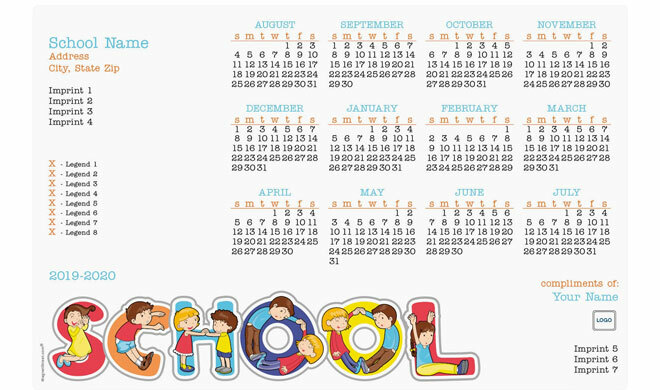 Specializing in School Calendars and other School Magnets, we have successfully helped teachers, parents and students stay connected since 1994. We take great spirit in offering magnetic communication tools that are fun, affordable—and most importantly: effective. We offer durable magnets and powerful in-house printing. 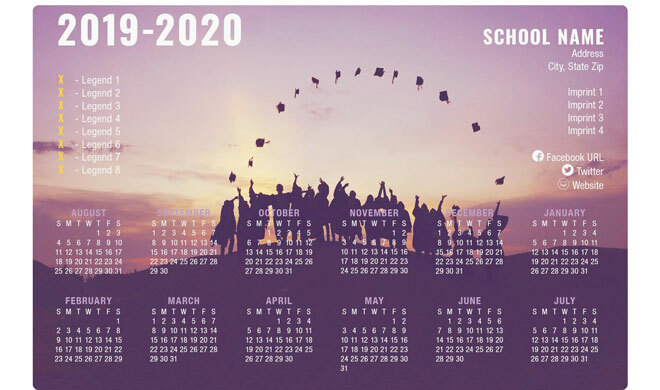 Each design is printed in vibrant, full color to give you the professional quality you deserve. Magnets make the connection. 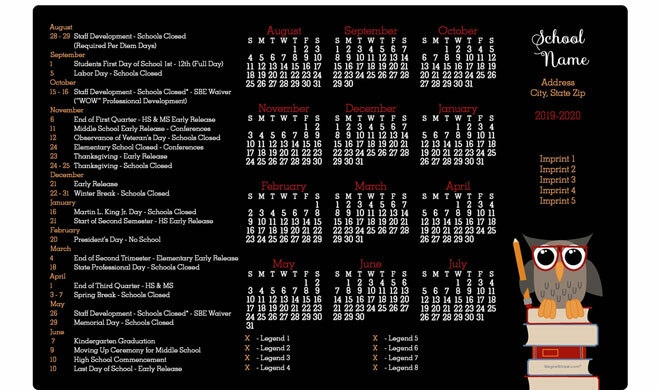 Whether you're wanting to distribute a calendar, schedule, or contact information, School Magnets excel in ways that paper simply can’t.